Money can be exchanged for goods and services! Summer is fast approaching - honestly, it feels like it's already here - and I figured that I should make a few fun and kicky tweaks to cope with the climbing temperatures. 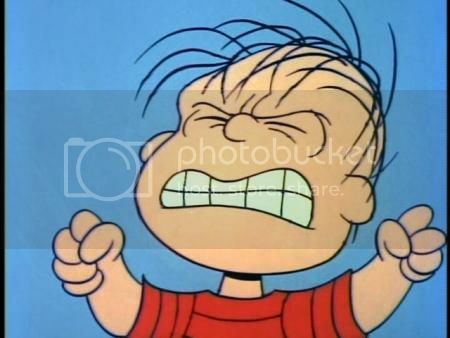 So I temporarily unfroze my personal spending freeze and hit up eBay. A hair past a freckle. 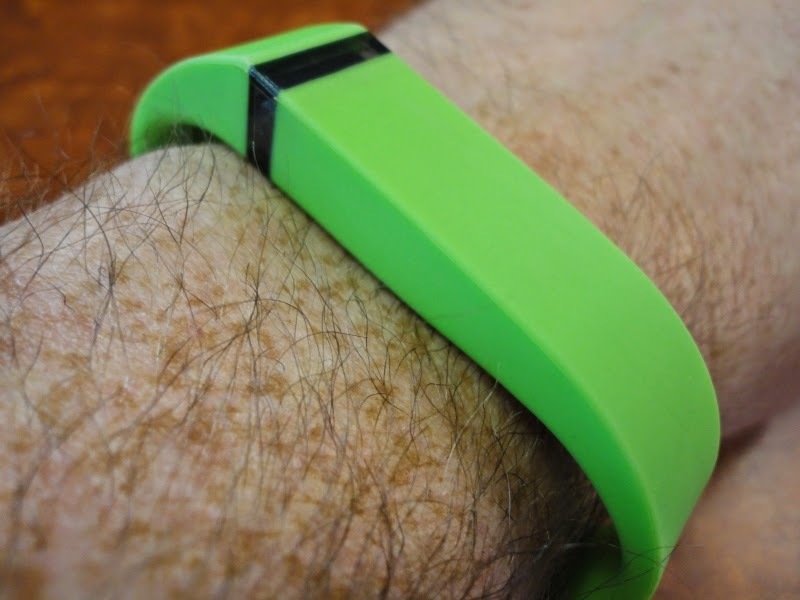 First I dropped less than $2 on this Chinese knock-off Fitbit Flex band. You get what you pay for, but it has held up for a week and counting. So far, so good! I have two official Fitbit bands, but they're getting really torn up after a couple of years of continuous wearing, swapping out the module, etc. 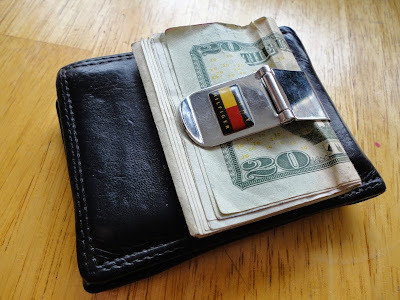 This may just be a stopgap solution, but at least it's a dirt cheap one. But my mom says I'm cool. 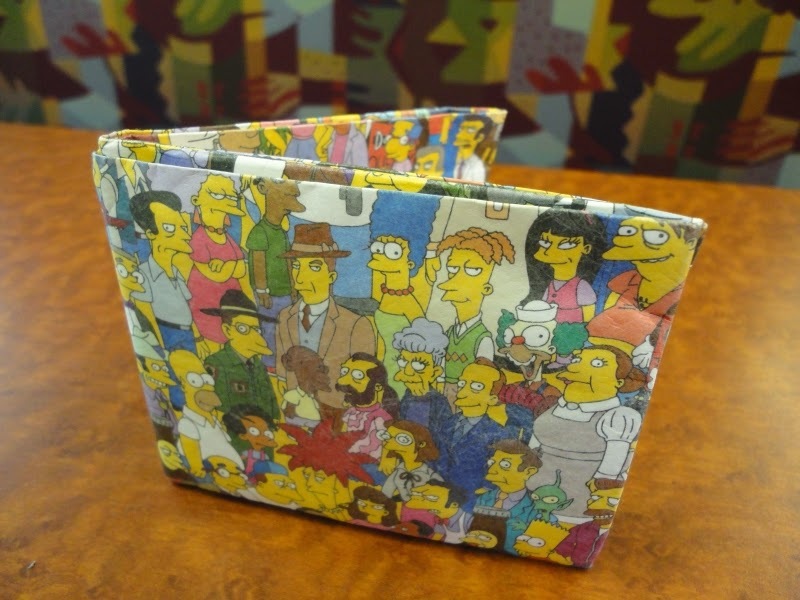 The second of my two purchases was this Simpsons Mighty Wallet. Some who know me are probably shocked that I didn't own it already, what with how that show is almost a second religion to me. (You're still tops, Jebus.) The construction is kind of weird: It's one big sheet of Tyvek - you know, the nigh indestructible stuff overnight envelopes are made out of - folded a certain way. 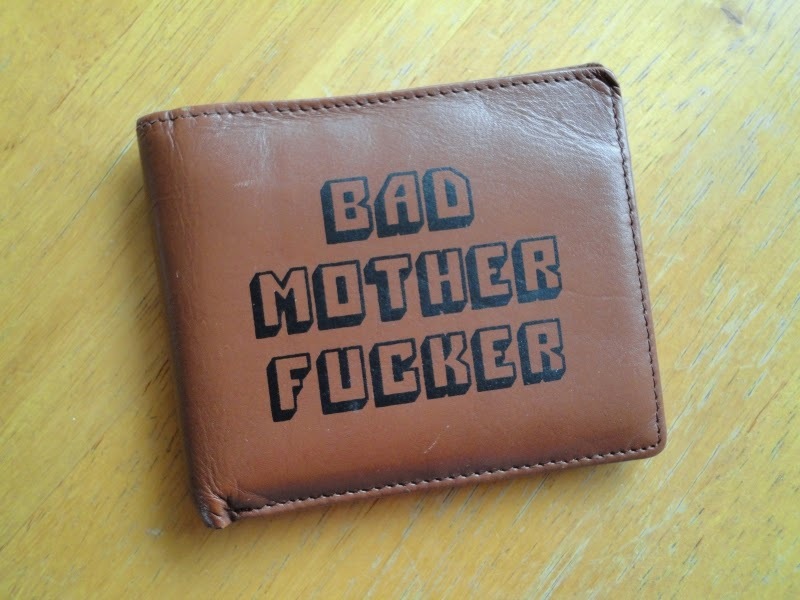 It's taken some getting used to, but I've grown to really like this wallet. It is well worth the $3 I spent on it. Not for the seller, though. It was her first auction and per the mailer I received, the shipping alone cost more than that. There's an eBay learning curve. She'll get there. And since we're talking about wallets, this is my old one, which I've used daily since the mid-aughts. I got it at a Tommy Hilfiger outlet in Hilton Head. See how the white in the logo is now yellow? Yeah, it's high time that I gave it a rest. Though when the situation calls for a little more professionalism - say, a business lunch or trip to the petting zoo (damn those judgmental goats!) - I'll bring it back out of retirement. Yeah, I guess it's my favorite movie. Or maybe I'll just go with my other standby, given to me by Kate the Great many moons ago. 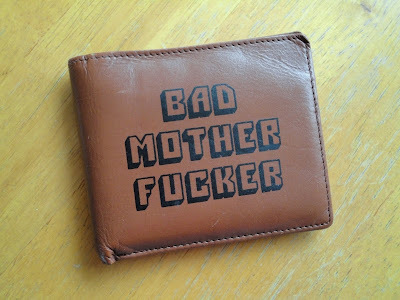 I imagine that this wallet will be promoted to be my daily companion when I enter the "walk the Earth" phase of my life. Wait. Shouldn't I be doing that right now? I need to call my career counselor.